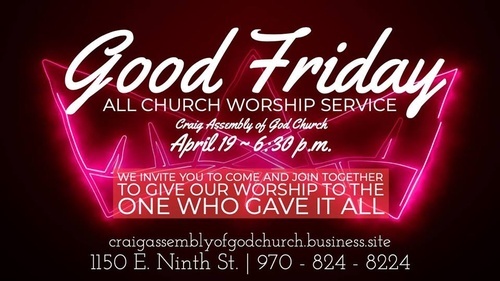 Craig Assembly of God Church is hosting an All Church Night of Worship on God Friday and YOU are invited! We believe that church unity is vital. We would love for you to come and worship with us. We also will have an optional Kids Service with fun activities, songs, and more hosted by our awesome Kids Leaders! Hope to see you there!